Latest edition of the most comprehensive book on acupuncture points yet published in the English language! New edition incorporates thumb indentations for the 14 main channels + extra points and a dust jacket. 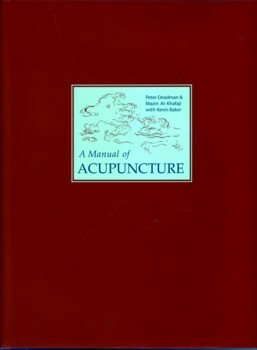 Since its publication in 1998 this comprehensive text has rapidly become the standard acupuncture point book for students and practitioners throughout the English-speaking world. Detailed exposition of the names, locations, indications and actions of every point, it is characterised by hundreds of beautiful and anatomically exacting illustrations (one for every point), lengthy commentaries on the points, numerous point combinations drawn from classical texts and comprehensive indexes. Now in its fifth imprint, this text has been continually updated and corrected. The latest (fifth) imprint has an added dust jacket and thumb indentations for ease of referencing the channel chapters. 295 x 225mm. Latest reprint with all text & illustration corrections!